We are “Enrolled Agent” and “independent Insurance Agency” serving North shore Community insurance and taxes service for over 25 years. With over 25 years of experience in Insurance industry, tax preparation, and tax audit representation services, we understand how complicated insurance and tax issues can become. 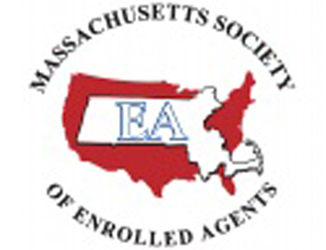 Our Enrolled Agents (EA) will provide a comprehensive solution to your situation as well as recommendations to avoid future issues. Our experienced friendly staff also provide bookkeeping, consulting, financial statement, IRS representation, payroll, and sales tax services. As competent and experienced Enrolled Agent and insurance agents, our main priorities are respectability and reliability when it comes to advising our customers. We will support you in choosing your future insurance coverage; we are independent in giving such advice since we are not bound to any one insurance provider. Expertise We stand for expertise in all taxes and insurance questions, and we can ensure this based on the experience we have gathered over the years. Plus, we take part in relevant continuing education courses regularly. Customer service Closing an insurance contract and income tax preparation is a very personal matter. We consider ourselves to be a respectable and reliable partner to our customers. Individual solutionsOur experience shows that there is seldom a universal solution when it comes to the right insurance or comprehensive package. We believe in creating customized insurance solutions for our customers. Reporting claimsOur service doesn’t end with the closing of an insurance contract. We stand by you with help and advice in the event you have to report a claim. Long-term Partnerships We believe in long-term relationships with our customers and attend to their insurance and income tax needs.